The event at historic Riverside Church’s Assembly Hall the evening of Jan. 12 will long be remembered. 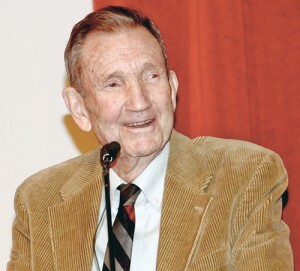 Over 350 political, community and anti-war activists, along with U.N. diplomats and consular officials from Cuba, Venezuela, Peru, Iran and Serbia, celebrated both the 85th birthday of human-rights lawyer and former U.S. Attorney General Ramsey Clark and the 20th anniversary of the International Action Center, an anti-imperialist, anti-racist organization that Clark founded in 1992. The evening reflected a broad leftist spectrum of respect and admiration for Clark and his principled stances throughout his life. The gala event began with a delectable buffet of mainly Latin American, South Asian and Middle Eastern hors d’oeuvres and dishes prepared and donated by IAC staff and other activist volunteers. 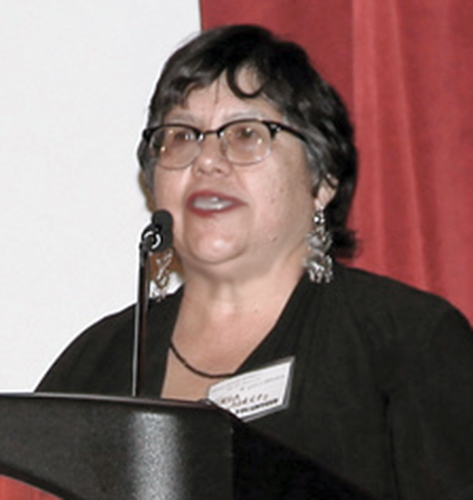 The evening’s program was co-chaired by gala coordinators LeiLani Dowell, an IAC organizer, journalist and lesbian, gay, bi, trans, queer activist; and Sara Flounders, an IAC co-director and United National Antiwar Coalition organizer. 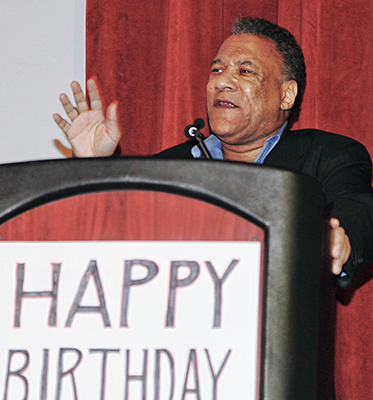 Father Miguel D’Escoto Brockmann — former Foreign Minister of Nicaragua’s Sandinista government, former U.N. General Assembly president and chair of the gala host committee — sent a videotaped message praising Clark’s humanitarian works. 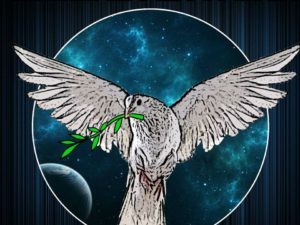 One of the IAC’s first tasks was to oppose the first U.S.-led Gulf war against Iraq and subsequent U.S. government sanctions, which eventually killed an estimated 1 million Iraqis, the majority of them children, and destroyed Iraq’s infrastructure. 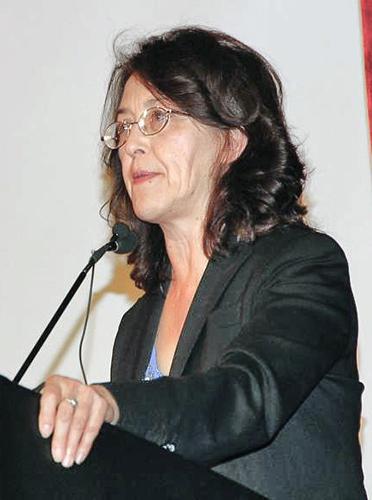 Over the years Clark led numerous U.S. solidarity delegations to Iraq to bring medicines and crucial aid. At least three-fourths of the room responded when she asked who has ever relied on the IAC to stand. 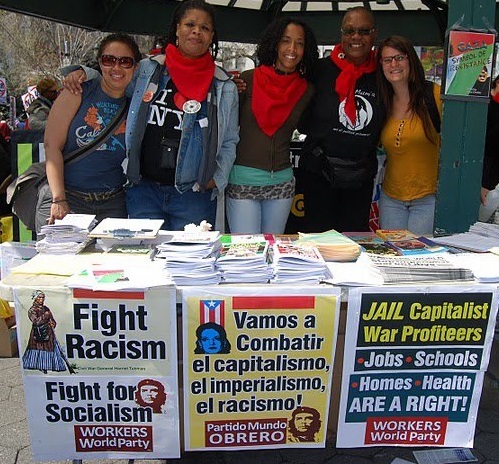 Political prisoners played a major role by embracing and promoting the commemorative event. 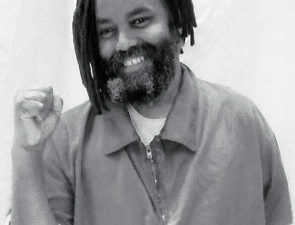 Dowell introduced an audiotaped message from Mumia Abu-Jamal, the long-time revolutionary and prisoner known worldwide as the “voice of the voiceless,” who praised the work of Clark and the IAC. Mumia credited the IAC with holding protests against the impending U.S. wars against Afghanistan in 2001 and Iraq in 2003. His entire message can be found at workers.org. 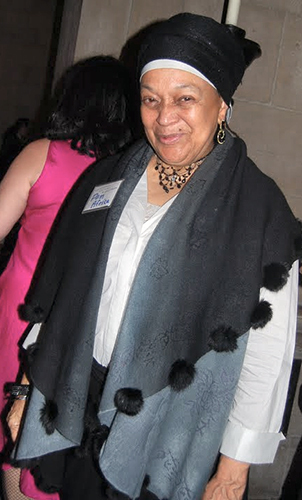 Pam Africa, from International Concerned Family and Friends of Mumia Abu-Jamal and the MOVE organization, said the IAC was instrumental in organizing Millions For Mumia. She also expressed gratitude to Clark for his role in many struggles. 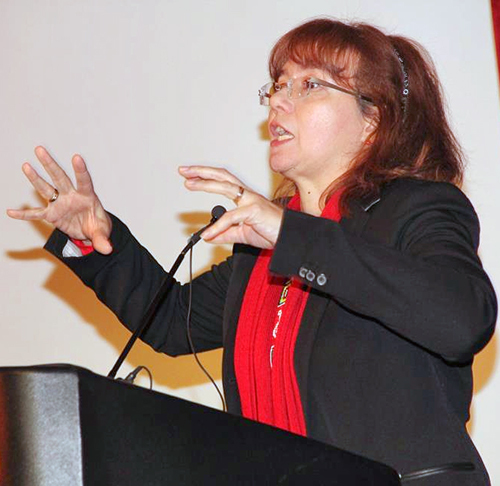 Alicia Jrapko, a representative of the International Committee to Free the Cuban Five, read a message from Gerardo Hernández, one of the five Cubans unjustly imprisoned inside the U.S. since 1998 for defending Cuba against U.S.-backed terrorist plots. 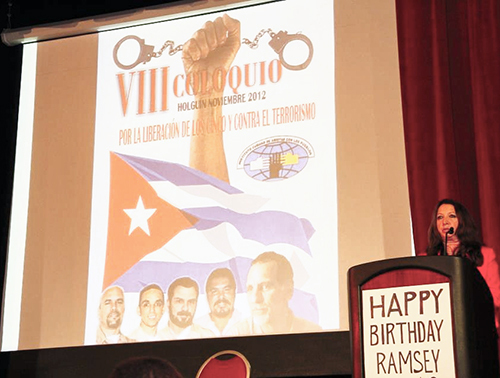 “Ramsey Clark … has been a clear and consistent voice for peace and justice, and this is something that the Cuban Five and all the Cuban people know well,” stated Hernández. Ralph Poynter, the spouse of people’s lawyer and political prisoner Lynne Stewart and member of the New Abolitionist Movement, read Stewart’s letter in tribute to Clark. 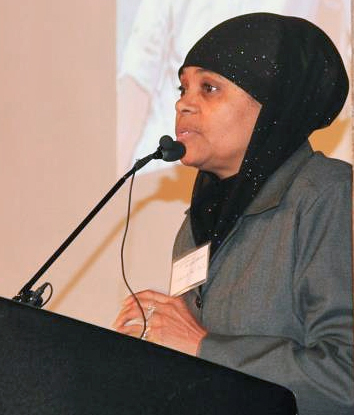 Karima Al-Amin, an attorney and spouse of political prisoner Imam Jamil Al-Amin (formerly H. Rap Brown), came from Atlanta with her son to thank Clark for his legal support for Al-Amin, who is serving a life sentence in a federal prison. Other speakers included Carol Nixon, Mission of Social Justice of Riverside Church; Sissy Farenthold, former Texas legislator; Abdeen Jabara, past president, American Arab Anti-Discrimination Committee; Gloria La Riva, Answer Coalition, National Committee to Free the Cuban Five and Party for Socialism and Liberation; Imam Ashrafuz Zaman Khan, Islamic Circle of North America; Larry Holmes, first secretary of Workers World Party and Bail Out the People Movement founder; John Philpot, president of the Defense Counsel Association, Quebec; and Carol Delgado, consul of the Venezuelan Mission. 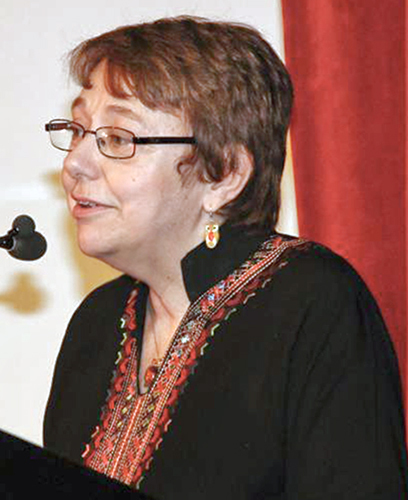 Cultural performers during the evening were singers Jen Waller and Hussain Ajhabeizzadeh; actor and spoken-word artist Vinie Burrows; and Serbian pianist and IAC activist Milos Raickovich. 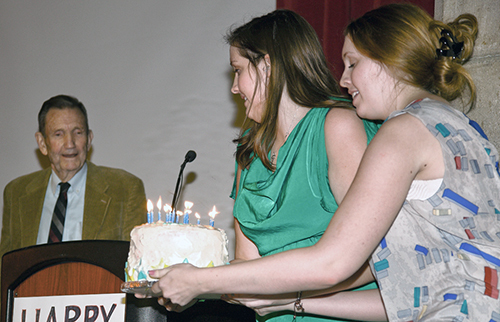 Ramsey Clark was then given a thunderous standing ovation as he came to the stage to blow out candles on a birthday cake presented by his granddaughters, Taylor Clark and Paige Clark. The whole crowd sang happy birthday to him. Clark gave a brief, humble talk acknowledging the heroic contributions of ailing Venezuelan President Hugo Chávez to the ongoing liberation of Latin America; echoing a quote from Dr. Martin Luther King’s 1967 speech at Riverside Church that the U.S. is “the world’s biggest purveyor of violence”; and reaffirming the struggle to demand that the U.S. government meet people’s human needs, not feed the Pentagon budget. 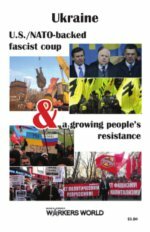 The gala also raised funds to help the Solidarity Center, home to the International Action Center and other activist groups, move to a new office space — located at 147 West 24th Street in Manhattan — at the end of January. To see video footage of the Clark/IAC gala, including highlights of the IAC in struggle, as well as slide shows, audio and written statements of solidarity, and other information, go to ramseyclarkiacgala.com. Ramsey Clark and granddaughters Taylor and Paige Clark.